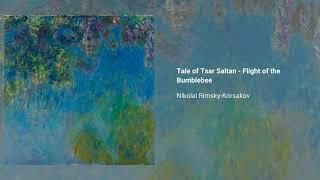 The Tale of Tsar Saltan is an opera by Nikolai Rimsky-Korsakov and libretto by Vladimir Belsky, based on the poem of the same name by Aleksandr Pushkin. Written in 1899–1900 to coincide with Pushkin's centenary, it was first performed in 1900 in Moscow, The lengthy full title of both the opera and the poem is The Tale of Tsar Saltan, of his Son the Renowned and Mighty Bogatyr Prince Gvidon Saltanovich and of the Beautiful Princess-Swan. The music is composed in the manner of Rimsky-Korsakov's operas after Snowmaiden, i.e., having a more or less continuous musical texture throughout a tableau (as with Wagner, but with the exception of the separable orchestral introductions mentioned above) and a fairly thorough-going leitmotif system, broken up here and there by song-like passages.